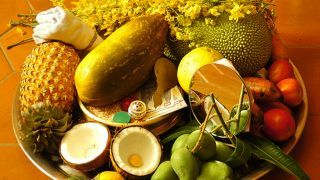 Vishu is a major festival in Kerala usually falls on the first day in the Malayalam month of Medam (April/May). For the people of Kerala, it marks the beginning of a new year in the Malayalam calendar. The auspicious day of Vishu also marks the beginning of agriculture calendar in Kerala and the land would witness the beginning of many agricultural activities. People clad themselves in new clothes and prepare delicious sadya to celebrate the joy of the day. 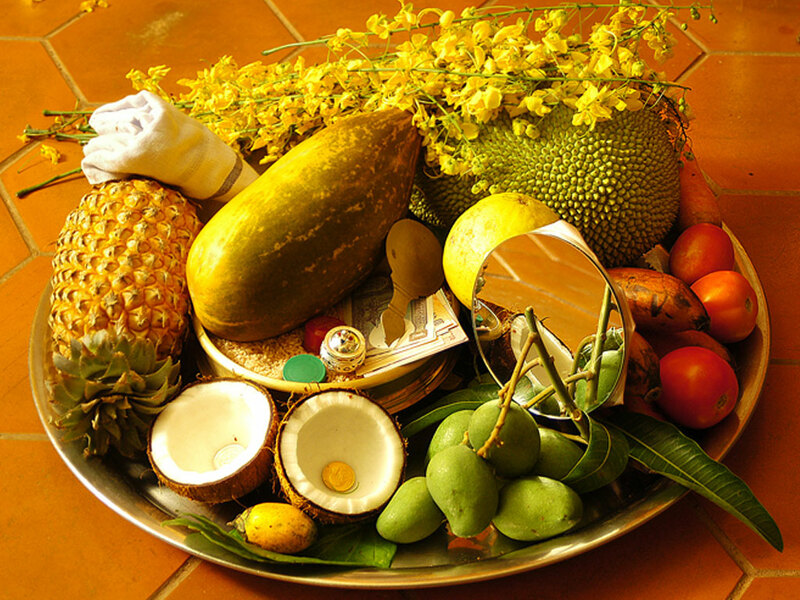 There are many festivities and ceremonies associated with Vishu celebrated across the state. Vishukani is very important ritual held on the day of Vishu. The custom leans back to the belief that good things are seen on the New Year day bring prosperity throughout the year. The Vishukani, consisting of rice grains, fruits, Konna flowers, gold and new coins- all signifying prosperity- will be arranged by the eldest female member of the family on the day prior to the Vishu day.